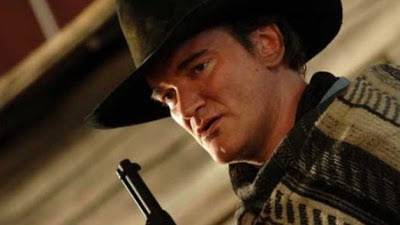 In a recent interview, director Quentin Tarantino discusses what's in store for moviegoers after Django Unchained. In the interview, Tarantino dishes about his ideas for a third revisionist history movie, along the lines of Basterds and Django -- this one, under the working title Killer Crow, would tell the story of a group of black soldiers in World War II as they journey through Europe to Switzerland, leaving a bloody trail of revenge, justice and a helluva fun ride for the audience. Henry Louis Gates Jr.: You've targeted Nazis in Inglourious Basterds and slave owners in Django Unchained. What's next on the list of oppressors to off? 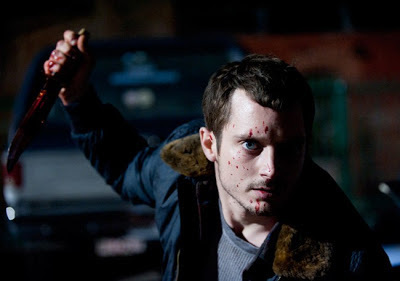 The first 6 minutes of the Maniac remake starring Elijah Wood has been released. The owner of a mannequin shop develops a dangerous obsession with a young artist. This story completely reminds me of the cult movie Fan Boys, where a boy's dying wish is to see a workprint of Star Wars Episode I: The Phantom Menace. 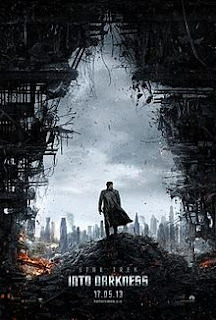 But this isn't a movie, it's real life -- and it seems that this may end up with a similar ending, as it has been rumored that director J.J. Abrams is working hard to get a rough cut of Star Trek: Into Darkness to the dying fan. 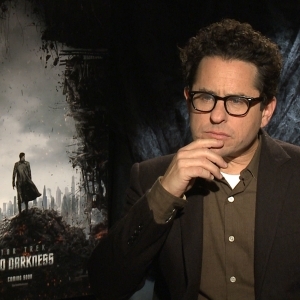 Director J.J. Abrams, fresh off his Star Trek: Into Darkness gig, has revealed that he turned down the directing job for Star Wars Episode VII. It's all good, though -- we wouldn't want any cross contamination between the Star Wars and Star Trek franchises now, would we? Suggesting Lucasfilm are chasing some big guns for the job, J.J Abrams has revealed he’s turned down the "Star Wars Episode 7" directing job. The 'Star Trek' director tells Empire, "There were the very early conversations, and I quickly said that, because of my loyalty to Star Trek and also just being a fan, I wouldn't even want to be involved in the next version of those things. I declined any involvement very early on. I'd rather be in the audience not knowing what was coming, rather than being involved in the minutiae of making them." The original Leatherface, Gunnar Hansen, has a role in the new direct sequel to the 1974 film, Texas Chainsaw 3D. That's old news. What is new news is this picture of Hansen's character, who appears to be a member of the murderous Sawyer family (but who knows, that could not be the case). Whatever the case may be, it's good to see Mr. Hansen in front of the camera again -- especially for a TCM movie! Texas Chainsaw 3D hits theaters January 4, 2013. Although Marlon Wayans has nothing to do with Scary Movie 5 (he hasn't been involved with the franchise since the second film), he's getting loads of negative feedback for the film via his Twitter account from fans, most of whom who are just comparing the two trailers for Wayans' next, A Haunted House (another horror spoof) and Scary Movie 5. RT @PrinceAmirVI: @MARLONLWAYANS just saw the Scary Movie 5 trailer...they need you...bad ... *** HA!!! I wish it ❤. Go see a haunted house Not too harsh, he wishes the film love, but still plugs his film. RT @princeofny: So scary movie 5 just gonna steal the same story form @MARLONLWAYANS A Haunted House sheesh #TimesMustBeHard *** preach! Now this response was a little more cynical. 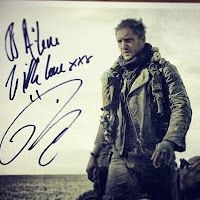 The first confirmed photo of Tom Hardy in the title role of Mad Max: Fury Road has gone online. If you're finally coming to terms with the fact that Mel Gibson will not be playing Max this time around, then you have to admit Hardy looks pretty badass right here. And since this is technically a sequel, does this mean the Mad Max character will be handed down like James Bond? Let's hope not. The trailer for Scary Movie 5 has been released. Judging from the scenes shown, my preemptive thoughts on this fifth installment seems to be better than Scary Movie 3 and 4 -- and putting the series back on par with the first two. Although the lack of Anna Faris will be felt by this moviegoer, Ashley Tisdale is a pretty good visual replacement; not too sure about her comedic side, though. And on a side note: the final clip with Charlie Sheen meeting the door looks hilarious -- everyone loves a good crotch-shot. 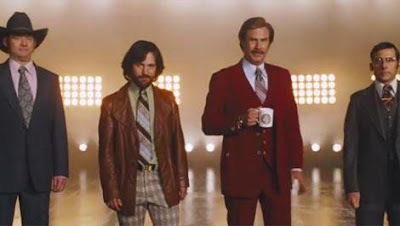 The highly anticipated sequel to Anchorman, starring Will Ferrell as Ron Burgundy, San Diego's most famous news anchor, has been slated for release on December 20, 2013. So, yeah, we have another year to wait -- hopefully it'll be worth the wait. Returning cast members along with Ferrell are Paul Rudd, Christina Applegate, Steve Carrell and David Koechner. 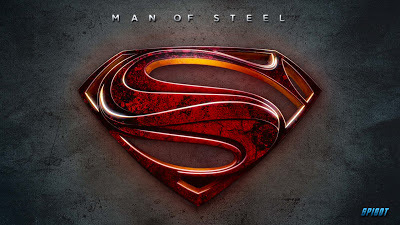 Adam McKay is also returning to direct. 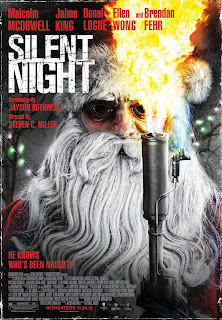 Finally got around to checking out the Silent Night, Deadly Night remake, Silent Night -- which is a very loose remake at that, I might add. Now in reviewing this film, like most remakes I watch, I will judge this film as if it is an original film and leave the 1984 film out of the equation. Let's get things started by diving in precisely where the film picks up: an unknown assailant is preparing himself for the day -- shaving, getting dressed, putting on a slightly modified Santa Claus costume...you know, the usual. And then we immediately get into the nitty gritty with an over-the-top opening kill that really serves no purpose nor sets any kind of tone that the film would follow. It's common knowledge (and a no-brainer) by now that Star Wars: Episode VII (7) is on the horizon and Lucasfilm president Kathleen Kennedy told ABC News Radio that an update will be coming in January -- most likely the announcement of a director. 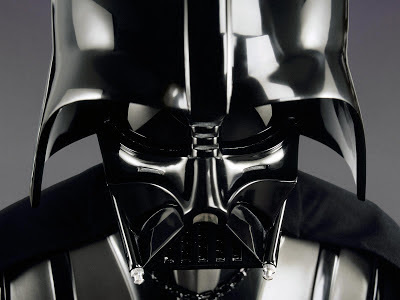 Ever since Disney announced plans for Star Wars Episode 7, fans have been starved for new information. Pretty much the only thing in the way of official news has been an announcement that Michael Arndt will write the screenplay. 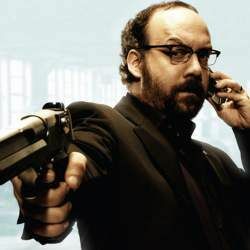 There has been rampant speculation about who the director is, but no official announcement. 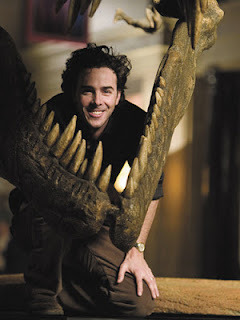 Shawn Levy is returning to produce the third Night at the Museum flick but will not be directing the film. The new lead roles have been cast for Transformers 4. Enter Brenton Thwaites and Nicola Peltz. The two will star alongside Mark Wahlberg in Michael Bay produced sequel. After breaking word that Mark Wahlberg would take the lead in Michael Bay's upcoming Transformers 4, Twitch has learned that after a lengthy screen testing process Brenton Thwaites and Nicola Peltz will be rounding out the principal cast alongside Wahlberg. 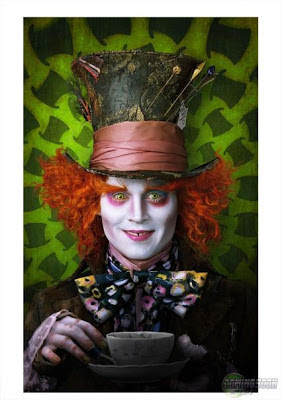 Plans are in full motion over at Disney for a sequel to 2010's Alice in Wonderland, directed by Tim Burton. In fact, a writer has already been chosen. Screenwriter Zach Helm (Stranger than Fiction) has been tapped to pen the remake of Jumanji. 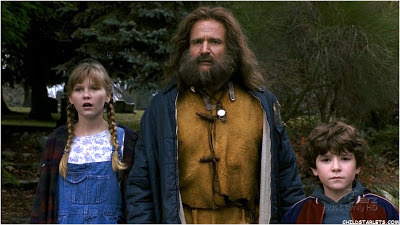 If you've been living under a rock, then you probably don't know that Jumanji was a gigantically successful 1995 film starring Robin Williams and a young Kirsten Dunst. Zach Helm, who garnered acclaim for penning Stranger Than Fiction, has been tapped to write Columbia’s reimagining of Jumanji. Matt Tolmach is the producing the project, which is a new adaptation of the Chris Van Allsburg book. The tome, first published in 1981, was previously a 1995 movie directed by Joe Johnston that starred Robin Wiliams and Kirsten Dunst. The movie, blending light comedy and family adventure, told of a board game come to life as two kids discover the supernatural game and release a man trapped in there decades earlier. They also unleash jungle forces and must team up with the man to quell the game’s powerful magic. Disney is in talks (which are pretty much finalized) to have screenwriter Jesse Wigutow to come on board and script the latest draft of Tron 3. The sequel to the 2010 reboot Tron: Legacy — called Tron 3 in some quarters — is moving a step forward with Disney in negotiations to hire Jesse Wigutow to pen the latest draft of the script. Joseph Kosinski, who directed Legacy, is attached to helm this installment, which is being developed with a renewed purpose under Alan Horn, who took the reigns of Disney Studios in June. Some considered the dark and trippy Legacy — which teamed newcomer Garrett Hedlund with Jeff Bridges, star of the 1982 original Tron — a lukewarm performer when it opened in December 2010. But the film grossed $400 million worldwide, good enough to spark interest in prolonging the franchise. With that foundation and a strong brand, Disney believes it can really go for broke with a new movie. 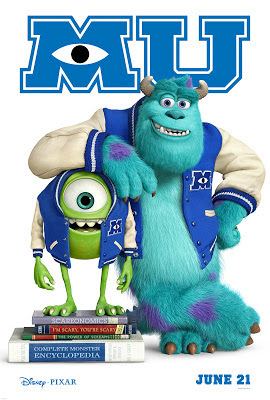 A new poster for Disney/Pixar's Monsters University hes been released. Obviously, this is a prequel to Monster's Inc. which starred the same characters.